Dele Alli and Mauricio Pochettino commended the performance of Tottenham match-winner Juan Foyth after Saturday's 1-0 triumph at Crystal Palace. Foyth endured a difficult Premier League debut last time out against Wolves, conceding two penalties in Spurs' 3-2 win. 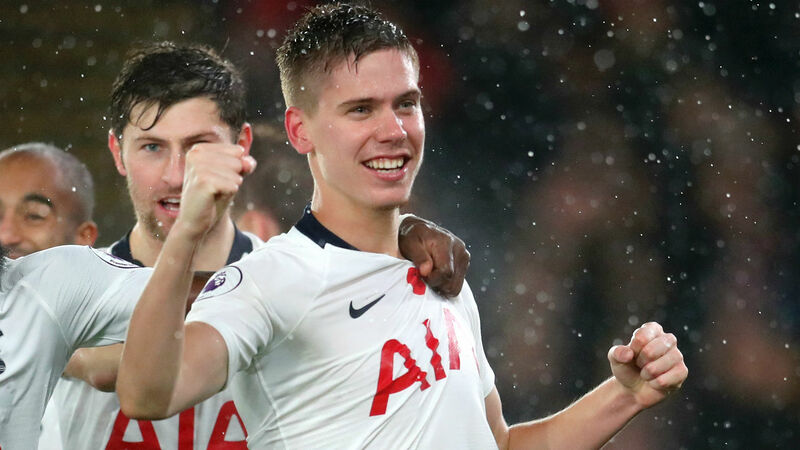 But Pochettino retained faith in Foyth, which was repaid by the youngster by scoring a second-half winner at Selhurst Park. Pochettino believes that goal will be huge for the 20-year-old's self belief and for feeling like a Premier League player. "We were talking a lot in the week that, that [Foyth's errors in the last match] is football," Pochettino told reporters. "I was a centre-back and you're involved in these situations The trust from us is massive and from his team-mates. "He has great potential and showed real character. It's important for him to feel like he's a Premier League player. "He's so clever. That situation can happen. With experience he's going to improve and make mistakes and less mistakes. "That will happen with 29 or 30-year-old players. He moved on and we all helped him forget [the penalties against Wolves]." Alli felt such a response to Foyth's Wolves performance spoke volumes about the defender's character. "Juan deserves a lot of credit," Alli added to BT Sport. "It says a lot about his character after conceding those two penalties at Wolves. "He works hard every day in training and he's come in today and got the winner." Palace lacked cutting edge in attack without the injured Wilfried Zaha, though Roy Hodgson is adamant they did not lose just because the Ivory Coast international was absent. "I think everyone watching that game today would suggest that gap [to the top six] isn't too great," Hodgson said. "The same as it was in our last match. "I know and I watch the team play and we didn't lose the game because Wilf didn't play. Of course there's a gap and that can't be denied, but I don't think it's got to the situation where there's two different leagues."